Kyssi Andrews has fought cancer for a good portion of her life. On Monday, she became a state trooper. HOUSTON (KTRK) -- We have some sad news to report about a little girl who stole our hearts. Kyssi Andrews has lost her battle with cancer. 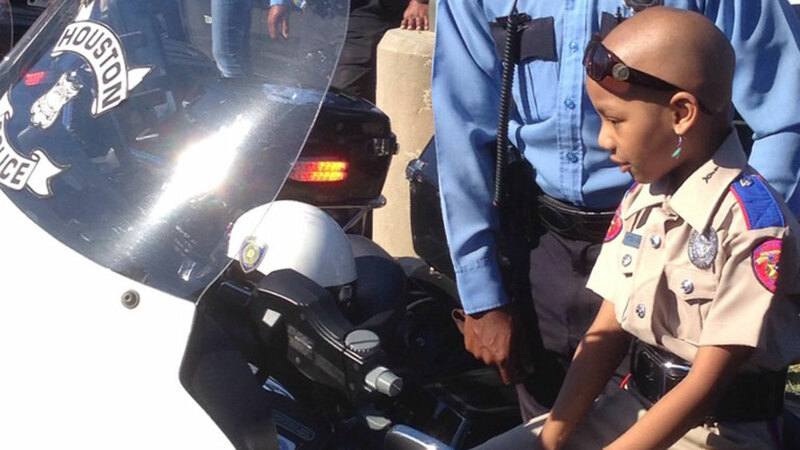 We told you last October how the DPS and the Houston Police Department fulfilled Kyssi's wish, making her an honorary trooper and a police officer. She battles cancer without fear, so police work is right up her alley! Kyssi passed away Sunday morning. She was six years old. In a Facebook posting, her mom wrote," I find peace, comfort and strength knowing that Kyssi belonged totally to God."